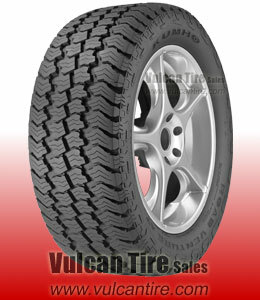 The Road Venture AT KL78 is an all-season, light truck street tire with the agility to operate off-road. Expect great driving manners on pavement and off-road, even in mud and snow. High tensile steel belts and jointless nylon cap plies provide uniformity to attain the maximum contact patch, steering stability, and durability for the life of the tire. Tread compound specifically designed to combat cutting and chipping. Kumho�s ESCOT technology provides uniformity that results in less flexing, cooler operating temperatures and enables increased consistency and improved ride characteristics.